I get the following question/statement asked a lot: “Rush! Are they still around?” I guess when you have a career that spans almost 40 years, those kinds of questions would seem plausible. Only, I get a little miffed because they really never went away. Sure, there was a time in the late 90s when Neil Peart tragically lost both his daughter and wife and we weren’t sure if they would carry on, but they never split. They have been a musically entity since 1974 and just recently were added to the Rock 'n' Roll Hall of Fame. (Ed…technically speaking, Rush actually formed in 1968, but the configurations were steadily changing and their debut album wasn’t released until 1974). At this point, I no longer call them Rush concerts but I think of them as the more as Rush events. They may tour pretty consistently since Vapor Trails, but each time has a “special event” feeling about it. I keep seeing these events every chance I get because I don’t know if it will be the last time. I don’t think the guys in Rush will do a “farewell” tour that lasts two years because they will want to keep their credibility. Also, playing a two and a half hour show of demanding music is difficult when you’re 25 years old - let alone when you get older. All of that leads me to the following statement that I will get out of the way early. I recommend you see Rush whenever/wherever you get the chance. You might not have many more chances (I hope I’m wrong). So go see these legends while you still can. 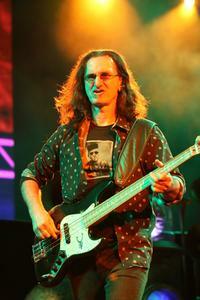 Rush is one of those bands that decided that they would rather play two sets and forego having an opening act. If you are fan, this makes total sense. 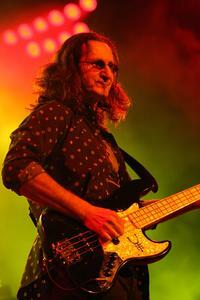 Let’s face it, Rush fans want to see Rush and no one else. 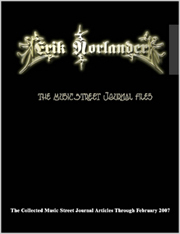 An opening act would not get a fair shake in front of a rabid Rush crowd. As an added bonus of the two set system, you get more music from the band you came to see - in this case, Rush. The first set was a walk down memory lane. The guys took the stage after a lengthy movie intro and proceeded to launch into “Subdivisions.” Of all the songs to choose to start with, this is an odd choice but a good one. Even though they have been playing the song live on and off since 1982, it was never an opener. They visited the Signals album again later in the first set with “The Analog Kid.” Since the guys have such a rich catalogue, I was happy they went back and played a trio of tunes off the Power Windows album. “The Big Money,” “Grand Design” and “Territories” were great additions to the set because they haven’t been played in a while. Other songs featured in the first set were “Force Ten,” Limelight” and “The Pass” before they ended it with “Far Cry” from Snakes & Arrows. 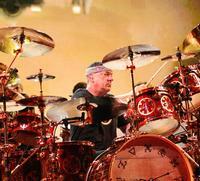 The second set was taken up mostly by their newest release Clockwork Angels. While most bands can’t get away with dedicating so much time to their latest release, Rush don’t seem to have that same issue. While there were some people who wanted to hear older material, most of the crowd was happy to be entertained with these new tracks. 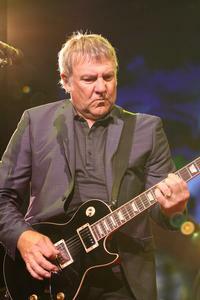 The band performed all but three songs off Clockwork Angels. The only songs missing were “BU2B,” “Seven Cities Of Gold” and “BU2B2.” The sound was embellished with a string ensemble for this second set, giving the band a very full sound. More often than not, you hear fans yell out some of the classic songs they want to hear. Oddly, there was fan near me that kept yelling for “Seven Cities of Gold.” Sadly, he was disappointed when it was not featured in either set but it does speak volumes when a fan is requesting a new tune. 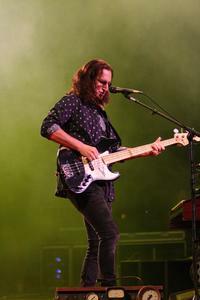 After they finished with the new record, they went back to older material starting off with “Dreamline” from Roll the Bones.